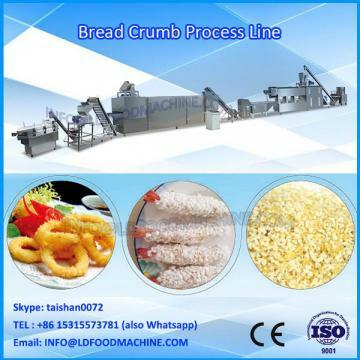 panko bread crumbs is a widely used food additive for deep fried food, and mainly for frying food surface, such as: fried chicken, fish, seafood (shrimp), chicken, chicken wings, onion rings, etc. Its feature is crispy soft, tasty, delicious and nutritious. D. Features: looks like golden color. It is generally used for frying and fried foods, and its main role is to help ease food bombed coke time; due to its very nature, can play a semblance coke (crisp) incense effect. Normally, panko bread crumbs with white texture, and turn bright is the first grade. Those yellow or brown are mostly indigenous production type. And if the low quality breadcrumbs contains crust of bread, it will be easy fried coke and taste bitter in operation. 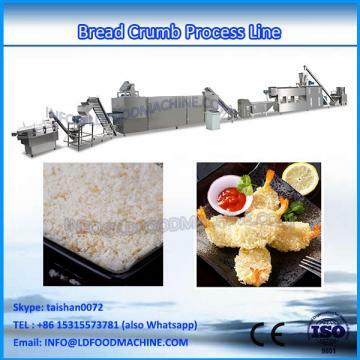 Our panko bread crumbs machine take a new process for panko bread crumbs production. It is from powder for wheat flour to panko bread crumbs automatically. No bread produced during the whole process. So no bread crust appeared. The final product is bright white and with good texture. 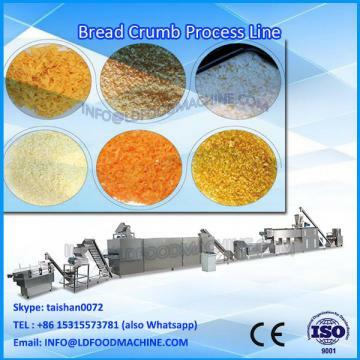 The capacity of our panko bread crumbs machine is very reasonable: it can be (120-450kg/hr). And the operation is very simple, the production time is within 20 minutes from raw material to final product. Mixer-----Screw conveyor-----Twin screw extruder-------Cutter------Hoister-----Humid crusher-------Air conveyor--------Multi-layer roasting oven------Air conveyor(or vacuum feeding machine)-----Grading sifter.